Centennial Azure - Patio area between house and casita. Beautiful floors MLS#2087430. Signature Real Estate Group. Clayton El Campo Grande - This amazing single story home includes OWNED SOLAR PANELS, 3 bedrooms plus den, kitchen w/ granite countertops, stainless steel appliances & stone tile flooring, 3 car tandem garage, gas fireplace, large family room w/ built-in entertainment center & windows overlooking the pool/spa. One of a kind! MLS#2086465. Windermere Prestige Properties. 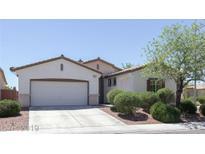 Cheyenne Ridge - Huge backyard w/dog run, sparkling pool w/NEW pool light. Low HOA. Don't MISS! MLS#2086730. Offerpad. Sun City Aliante - WON"t LAST LONG . NO SID/LIDS ALL PAID OFF MLS#2083996. Trend Setters Realty. Centennial Bruce - Solar on the Roof Makes This a Very Energy Efficient Home MLS#2086507. Keller Williams Market Place. 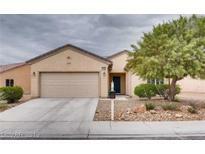 Casa Del Norte - Great Floor Plan! Won'T Last! MLS#2086088. Hudson Real Estate. Allen Manor - 3 car Garage with Plenty of Storage. Close to Shopping and Parkways. 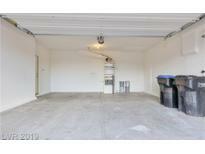 MLS#2085951. Landbank Realty. Brentwood - Jump into this 4 bedroom + loft + pool *Swimming pool with 2 water falls & cool decking *12 ft RV gate *Bedroom downstairs with walk-in closet *Huge Loft that separates bedrooms *Massive walk-in master closet *Grass front & rear yard *Culd-a-sac *Large bedrooms *Garage opener *Covered front porch *Wood vinyl flooring *Kitchen island with sink *Nook overlooks pool *Block wall fencing *2 A/C units ground mounted *Microwave *Ceiling fans & more.... MLS#2085723. Realty ONE Group, Inc.
Cheyenne Ridge - Premium Corner Lot Set Up Higher Than Other Homes Allows For Beautiful Mountain Views. Potential Rv Parking. MLS#2086316. Realty ONE Group, Inc.
Centennial Park - Laundry room upstairs. Located on corner lot. MLS#2085857. Love Local Real Estate. Azure Place - Former Model Home-Single Story w/ Open Kitchen* Very Bright & Clean* Stainless Steel Appliances* Kitchen Range, Microwave & Kitchen Sink are BRAND NEW Dishwasher is 1 yr Old* Portable Kitchen Island Stays w/Home*Speakers Built in Throughout the Home* Spacious Living Room w/ Fireplace*Master Bed Has Spacious Walk in Closet & Mirrored Doors*Ceiling Fans in All Bedrooms*Private Backyard* Epoxy Garage Floor*Cat 5 Wired*Reverse Osmosis Water System MLS#2085420. Easy Street Realty Las Vegas. Allen Manor - Relaxing & Low Maintenance Large B/Y Is An Entertainers Dream W/Fire Pit, Artificial Turf, Covered Patio & *sparkling Pool*. Clean & Move In Ready! MLS#2085007. Coldwell Banker Premier. 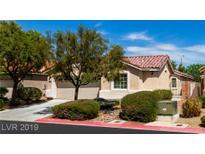 Sun City Aliante - Lots of amenities, indoor pool/spa, fitness center, social calendar. 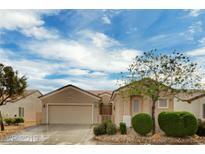 MLS#2083642. Realty ONE Group, Inc.
Ann Losee Village - Beautiful Northwest Home with lots of Charm and Character ~ Open floorplan design ~ Kitchen features breakfast bar, granite counters & pantry ~ Den downstairs makes a great office space or guest room ~ Spacious master w/ walk-in closet ~ Desert landscaping makes for effortless landscaping ~ Freshly painted w/ new carpet and all appliances included makes this home ready to move right in ~ Community features pool, basketball court, park & BBQ area MLS#2084828. Simply Vegas. Ann Losee Village - A must see home with an abundance of restaurants and shopping nearby! MLS#2085451. Wardley Real Estate. Aspen Hills - Home is fully equipped with solar screens on the outside of the home to keep you cool in the summer and your energy bills low. Welcome Home! MLS#2085286. Signature Real Estate Group. Nelson Ranch - *DESIRABLE FLOOR PLAN w/ OVER 2,821sqft ~ 3 BEDS + LOFT*UPGRADED GRANITE KITCHEN OPENS TO DINING AREA & SPACIOUS FAMILY ROOM w/ FIREPLACE*FORMAL LIVING & DINING ROOM*HUGE MASTER SUITE w/SITTING AREA & BALCONY*ALL LARGE BEDROOMS*GREAT OUTDOOR SPACE MADE POSSIBLE BY A SIDE COURTYARD & REAR COVERED PATIO/BALCONY*UPGRADED FLOORING T/O* MLS#2083878. NextHome Community Real Estate. Centennial And Novak - Large over sized bedrooms, with huge master bed & master retreat. 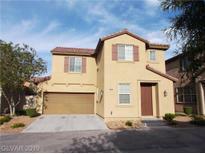 MLS#2084442. Huntington & Ellis, A Real Est.